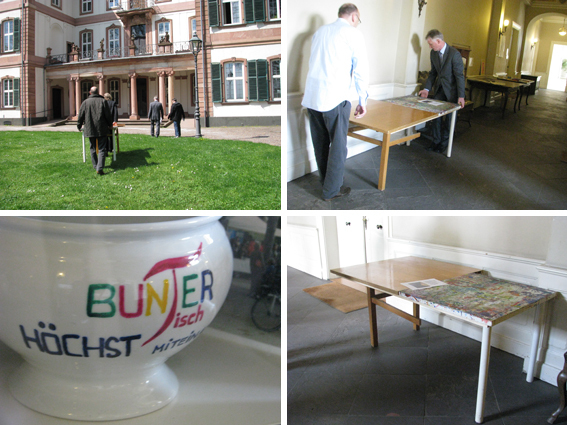 In April 2013 I gave one of these tables to the Lord Mayors of each Frankfurt as a present, they are currently exhibited in the town halls but will be exhibited in appropriate galleries, or museums. 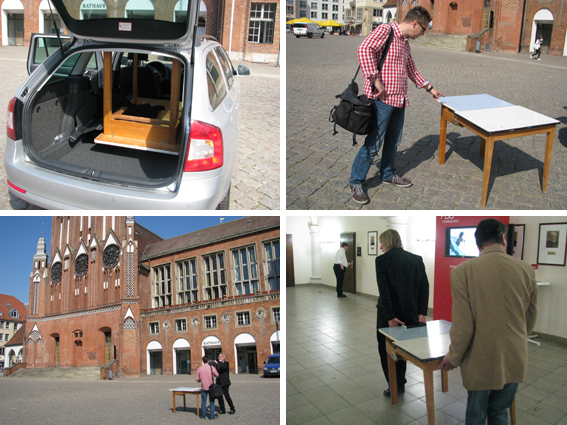 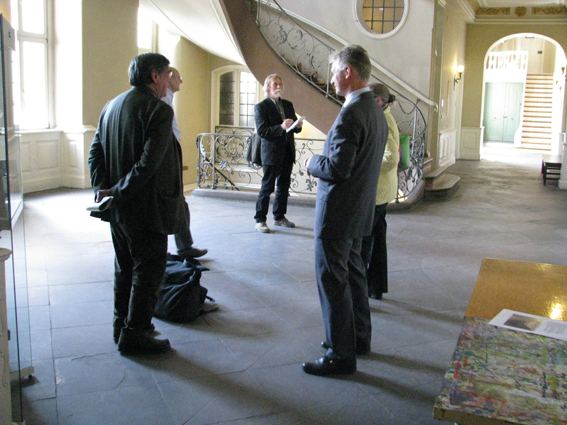 April 2013 Frankfurt Hoechst: presenting the table to the town. 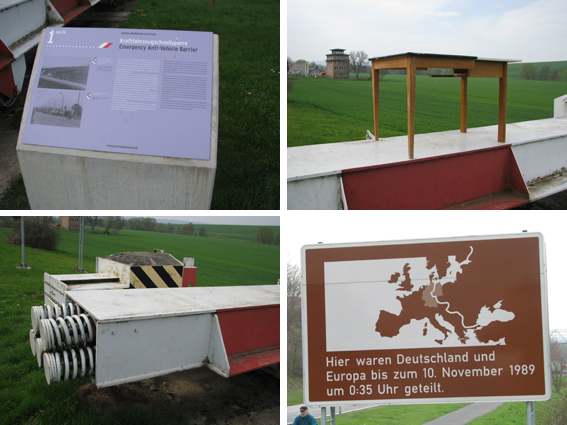 April 2013 Oder Main Table at the former Iron Curtain. 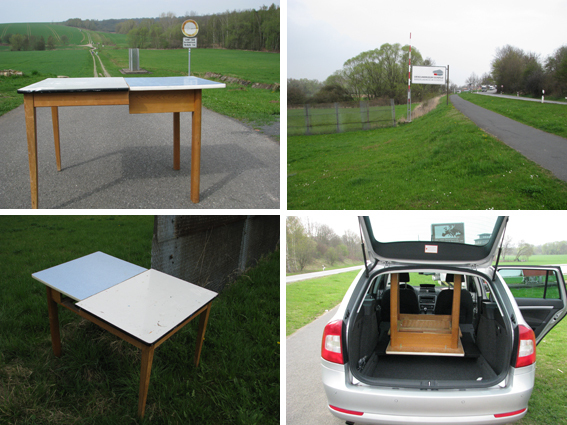 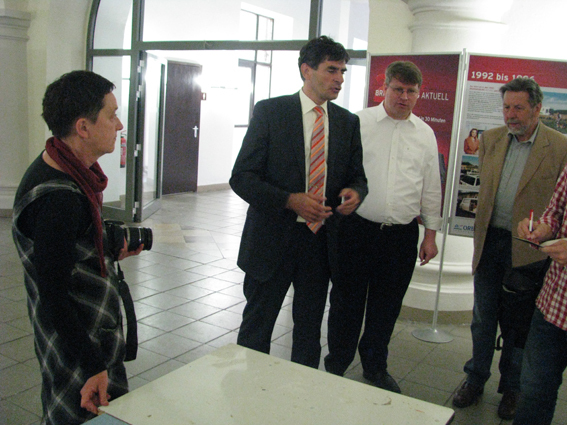 April 2013 Frankfurt Oder: presenting the table to the town.